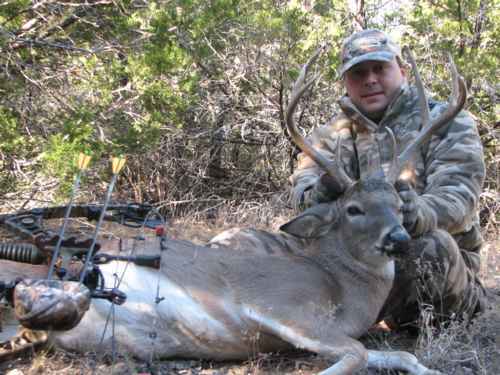 There is something about Texas whitetail deer that really brings the hunter out in most sportsmen and women. They are a true sporting hunt, requiring skill, patience and all your hunter wiles to bring home a trophy buck. 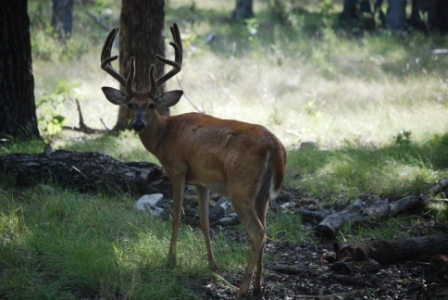 Escondido Ranch in Texas is home to some of the most picturesque and populated deer hunting areas, which makes it a popular spot for hunters from around the United States and beyond. 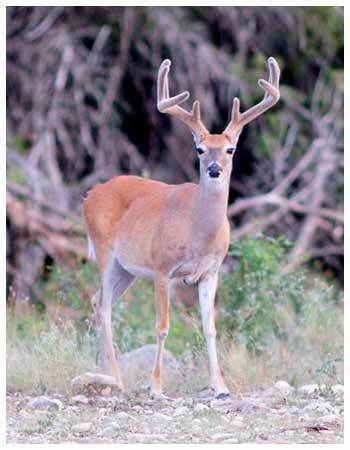 The hill country in central Texas is the prime habitat for the Texas whitetail deer. They thrive in the combination of low shrubs, wooded areas and grasslands and open grazing areas. Whitetails eat a variety of foods from grasses and tender shoots through to fruits and even some browse. Although the total Texas whitetail deer population is estimated at 3 to 4 million in the state, the vast majority are found on game ranches and wild areas, although they are also common in suburban neighborhoods where they cause damage to lawns and landscaping on a regular basis. The Texas whitetail deer are light to reddish brown in color with white to cream colored belly areas, inside of the legs, throat and around the nose and eyes. They also have the white under the flag like tail that is raised when they are alert or running, giving the species their descriptive name. They are not a big animal with bucks weighing in at around 60-70 kgs and does smaller at about 30-40 kgs, depending on their maturity level. 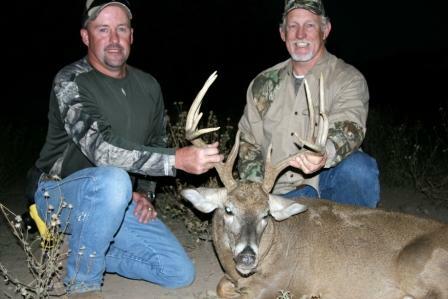 Bucks are considered a good trophy species and can either be head mounts or just the antlers mounted. All the tines come off of the main stock or beam of the antler and they tend to curl out from the head and then back in and to the front. They tend to stay in smaller herds when the grazing and shelter is abundant and then move into larger herds when food is sparse. Rutting time is early fall and into the winter when the bucks are most active and the antlers are in the best condition. In most cases the best time to hunt Texas whitetail deer is in the hours of sunrise and sunset. At these times the herds tend to come out into the open pasturelands to graze. In the daylight hours they are typically found in densely wooded areas and are resting and chewing their cud. They are very careful at hiding their bedding areas and will typically nestle in under low hanging boughs and may simply freeze and allow hunters to move right past. Texas whitetail deer are not an easy species to hunt. They are very alert and aware of their surroundings at all times. Once one doe or buck sends out an alert signal, the entire herd and surrounding herds will be immediately on the move. Since they are small enough and agile enough to easily travel through brush and the foothill terrain, hunting them can be a real challenge, but well worth the effort.